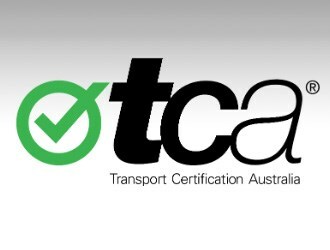 Transport Certification Australia (TCA) has released its new three-year strategy document which responds to opportunities and challenges in the use of telematics and related intelligent technologies. Strategic Plan 2016-2016 states that TCA, which oversees telematics nationally, has identified "new alignment opportunities" to improve and add value to its services. "The use of telematics and intelligent technologies – including Cooperative Intelligent Transport Systems (C-ITS) applications involving connected and automated vehicles – present opportunities for policy makers to innovate and advance outcomes across surface transport modes, and beyond traditional portfolios of government. "However, these opportunities can only be realised if the complex interaction of policy, technical, commercial and operational elements are progressed in a coordinated manner." In a statement of strategies and capabilities, the document seeks to place TCA at the centre of developing telematics and associated technology through business facilitation, policy clarification, security promotion and development efficiency. Administration of programs for, and on behalf of members and other relevant stakeholders. "The three year period 2016-2019 will be a time of significant growth for TCA," TCA CEO Chris Koniditsiotis says. "The Plan re-affirms and expands our strategic orientation and our capabilities, and the services that we offer to Members and other stakeholders. "The Plan aligns with a diverse range of strategic priorities and plans across a growing number of government agencies. "Most importantly, the Plan defines who we are as an organisation, and what we do." Koniditsiotis notes that the document highlights how the nature of assurance is evolving. "For instance, there are new security challenges with the emergence of connected and automated vehicles, together with the disruptive influence of new and emerging technologies on traditional business models," he says. "TCA provides government with a critical intersection between policy, technology, commercial and operational elements to enable improved public outcomes through technology."